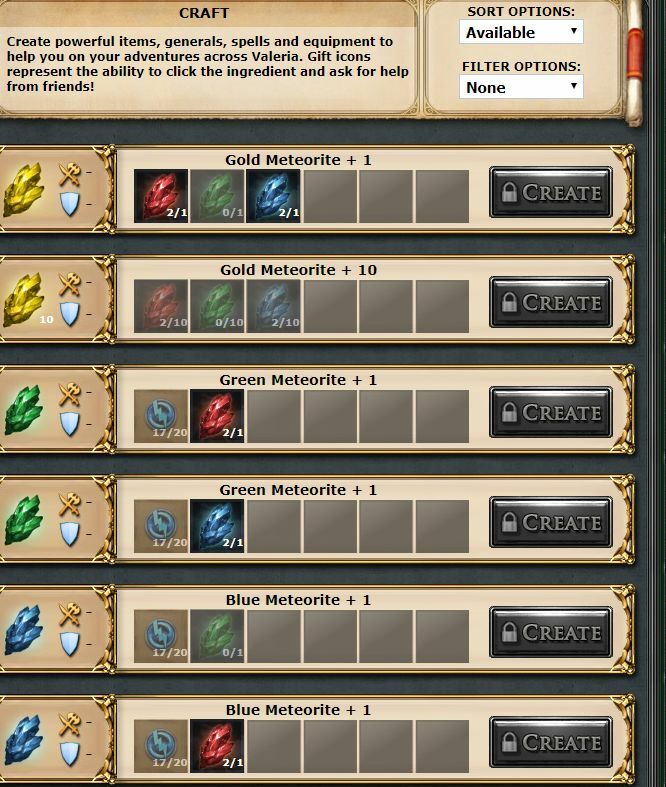 One of my guildmates who plays on web4 (lost his FB account a while back), is level 168 and he can't alchemize his meteorite parts. He has 2 red and 2 blue pieces. There are locks on where you could make a green piece from one of them. Below is the image he sent me in an email. He doesnt have enough energy to perform the alchemy. Thank you! I passed that onto him. I didn't even think about that since I almost always have tons of energy sitting around.